Please find below a list of the current courses and lessons I offer. For more information on special offers please contact me on 07977 218604. 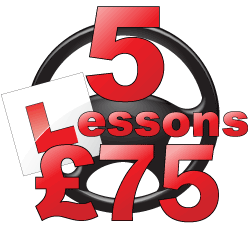 I currently provide driving lessons in the following postcode areas: CV2, CV1, CV3, CV4, CV5, CV6, CV8, CV10, CV11, CV12, CV31 and CV32. I provide driving lessons, intensive driving crash courses and pass plus training in Coventry, Kenilworth, Warwick, Leamington and surrounding areas.